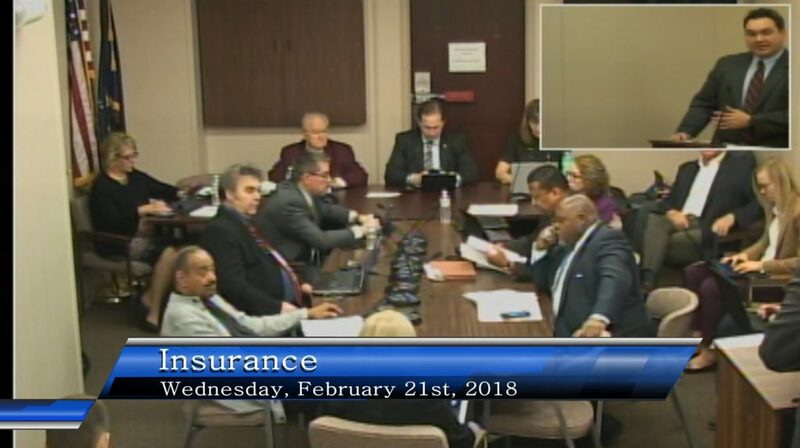 The president of the Indiana Auto Body Association appeared Feb. 21 before the House Insurance Committee to voice his organization’s support for Senate Bill 164 — not knowing that an amendment up for a vote at the panel had twisted the bill into a nightmare for shops and consumers. “We were blindsided by what happened,” said Doug Martin (Martin’s Body Shop). 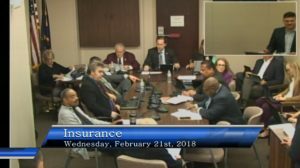 Martin said he hadn’t seen the Senate Bill 164 amendment prior to its approval 12-0 by the House committee, but was told by Insurance Institute of Indiana and State Farm lobbyist Jon Zarich — who presented the amendment to the panel last week instead of the bill’s sponsor — that revision merely added language to helped protect shops legally. Thinking everything sounded fine, Martin voiced his organization’s support for SB 164 Feb. 21, and the committee approved the new language. But the amendment, which was released earlier that day and had apparently not been seen by at least one member of the committee — went far beyond that. It protects shops who ignore OEM repair procedures in favor of “generally accepted industry standards,” eliminates the ability for customers to assign collision repairers their benefits, and erases checks on insurers found in the version of the bill which passed the Senate, save for a ban on steering. “We got zero notification of it,” Martin said “… They didn’t even tell us what the changes were.” Martin said it was “inexperience on our part” to assume that nothing substantial had been changed. Martin said the IABA no longer supports the bill, which he said could reach the House floor Tuesday. “We do not anymore,” he said Monday. “We’re kind of like, ‘How in the world did this happen? '” he said. The organization was in the mindset of “‘How do we get it stopped? '” according to Martin. Asked if the group had been in contact with other House members, Martin said “we haven’t heard anything from anyone” and was trying to figure out what steps to take. However, all is not lost. The bill could be amended on the House floor, and it would have to be reapproved by the Senate, which cast its 49-0 in favor of the earlier version of SB 164 the IABA supported. Martin said he had been in communication with original bill sponsor Senate Majority Whip Mark Messmer, R-Jasper, about IABA’s concerns. Messmer, who proposed the bill to help a constituent body shop owner, had told him that if the bill couldn’t be amended into something more palatable, he would let it die in the Senate, according to Martin. (2) Fail to initiate and promptly conclude an investigation of a claim for motor vehicle repairs based on whether the motor vehicle repairs are made by a particular contractor or repair shop. (3) Unilaterally and arbitrarily disregard a repair operation or cost identified by an estimating system the use of which has been agreed to by the insurer and the repair shop for determining the cost of the repair. (5) Accept the assignment of any rights of an insured or a34claimant related to the repair of the motor vehicle. (1) The action may be brought only on behalf of an individual. (2) The action must not be brought on behalf of a group or class of plaintiffs. (B) generally accepted industry standards. Another repairer, Tom and Ed’s Auto Body Repair Services general manager and IABA board member Andy Tylka, had testified in support of the bill, unaware of the amendment language. “We definitely were blindsided,” Tylka said Monday. The verbal explanation he said he received about the amendment didn’t match the final version. He said he opposed the bill, calling the notion of “industry standards” “way too vague,” and OEM repair procedures “the measure for proper repair” and to determine shop liability. During the hearing, Tylka noted that he disagreed with the Senate-passed bill’s language declaring it an unfair claims action for an insurer to disregard an estimating service, noting that information provider software “doesn’t talk about procedures,” merely how long various repairs take. He said that insurers should be bound to OEM repair instructions instead. Carbaugh said such language was in the amended bill, which was not the case. He apparently confused the new “rebuttable presumption” wording aiding shops who use repair procedures or industry standards with the elements of the bill directed at what insurers must do.